1) FOIL – Aluminum foil is the simplest, cheapest, and most widely-available option for grilling. 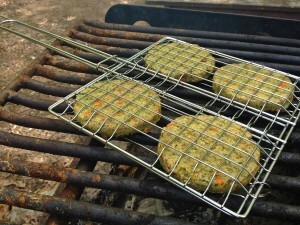 It also creates a reliable barrier if you’re a vegetarian or vegan sharing a grill with meat-eaters. Coat foil with a shot of olive oil or your favorite non-stick cooking spray to eliminate sticking. 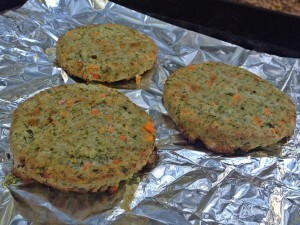 You can also create a foil packet for roasting vegetables like onions, peppers, and mushrooms to garnish your burgers. 2) PARCHMENT PAPER – Aluminum-free and an excellent non-stick surface, parchment paper (also known as baking paper) may brown on the grill but it will not affect its performance. 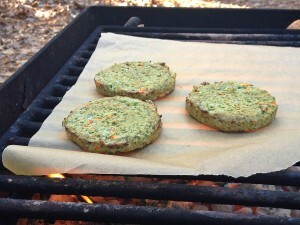 Simply place paper on the grill and add your burgers! Like foil, you can also create packets to roast or steam sides. 3) GRILL PAN – Grill pans are a favorite of ours to use as they are sturdier than disposable surfaces, can be easily removed for serving, and are simple to clean. The surface area of a larger grill pan easily accommodates two boxes of Sunshine Burgers, perfect for pleasing hungry picnic guests! Toss on a side of asparagus or zucchini for an early summer treat. 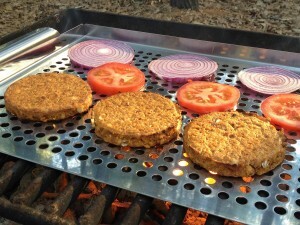 Grill pans are also handy for toasting burger buns and come in a variety of sizes to fit any grill surface. Give your pan a quick spritz of olive oil to prevent sticking, or baste your burgers and sides with your favorite dressing. 4) BURGER BASKET – Burger baskets make for effortless flipping. They also accommodate long strips of vegetables. 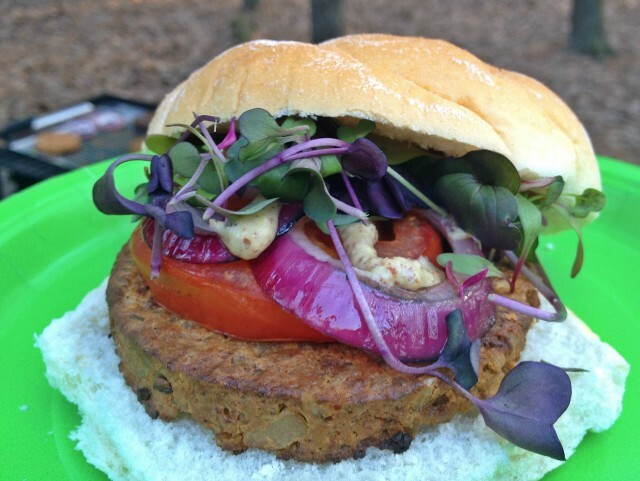 Use a non-stick cooking spray to make removing burgers trouble-free. 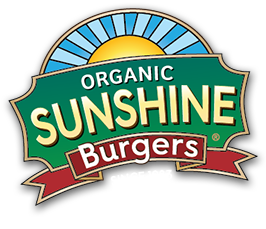 What’s your favorite way to grill Sunshine Burgers? Have you ever tried any of these methods?